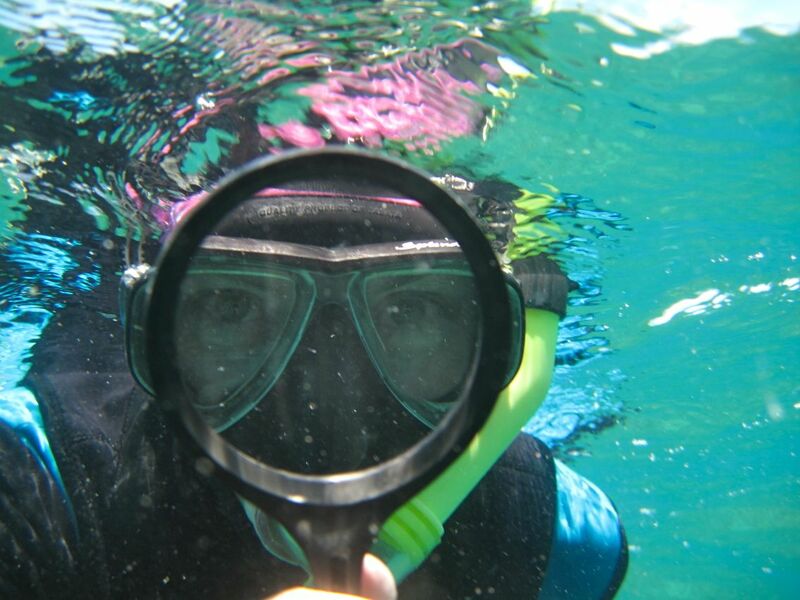 I join Dr Alison Jones in November 2012 as voluntary research assistant in the Keppel Islands. She’s leading a project that investigates the feasibility of re-vegetating reefs using natural spawning slicks and I’m investigating the symbiotic relationship between zooxanthellae and coral as a parallel to human/plant mutualism. Coral, technically an animal (or a community of animals), is often mistaken as plants as they form roots in the seabed. Hard corals also exude limestone leading some people to mistake them for rocks. Such an even distribution of elements animal, vegetable and mineral. Zooxanthellae is a tiny algal plant form that lives inside coral. The two rely on each other to survive – zooxanthellae using coral waste products to perform photosynthesis to convert light into oxygen for coral (…give or take a few new discoveries about photosynthesis). Together they form a collaboration and the oldest biological structure on Earth. Such a lasting collaboration is surely built on great communication and I can’t wait to find out what humans know about it so far.